Lyn Godley’s work has crossed the borders of fine art, interiors, product, furniture, lighting, and jewelry. 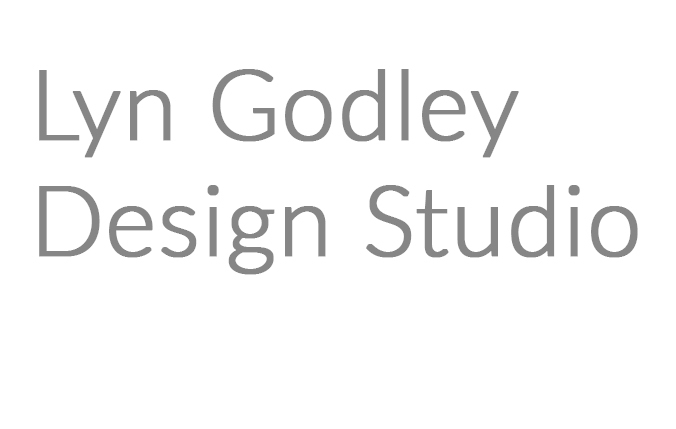 Godley opened her own studio in 1998 after fourteen years as a partner in the design team of Godley-Schwan. Of all her work, it is lighting which she has chosen to focus for the last twenty-five years. 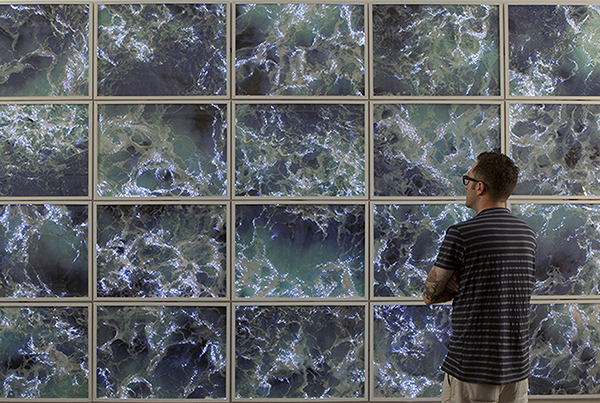 The investigation of new technology and materials in a robust dialogue with beauty – through form, imagery, and color – the duality of science and emotion, right and left brain together at the same time. 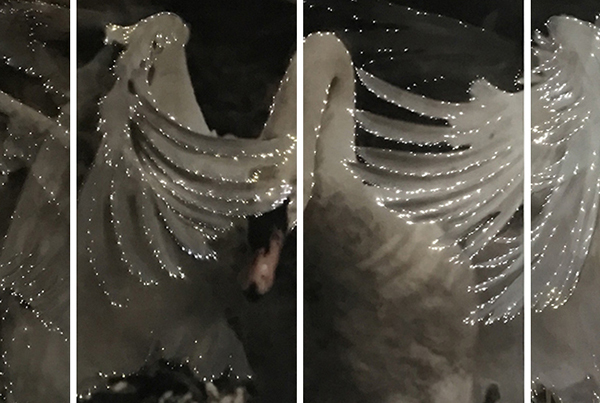 From chandeliers to full-scale illuminated evening gowns to interactive facades she has explored a wide range of light sources and effects. 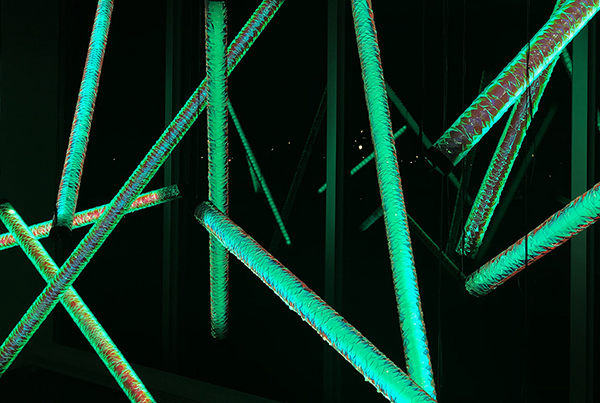 Detailed pixels of light embedded into drawings, to large scale public art installations, to miniature light models – she explores the many moods of lighting and its ability to calm or excite. 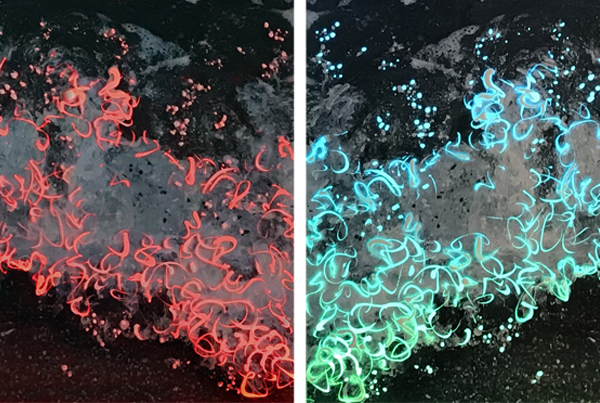 Merging digital printing, drawing and painting, fiber optics, light reflecting films, and physical computing has led her explorations in light and color refraction. Her work has been chosen for public art projects and commissions that explore the intersection of Light and Art in public spaces, and is in numerous museum and private collections, such as the Museum of Modern Art, the Percent for Art Public Art commission at SugarHouse Casino in Philadelphia, or the permanent installation of 7,100 programmable LEDs at the GoggleWorks Center for the Arts in Pennsylvania that continually “draws in light” across the center’s façade. In addition to her studio work, she is an Associate Professor of Industrial Design at Jefferson University, where she is developing curriculum and coordinating a Lighting Design concentration. Beginning in 2018, Godley is taking part in a three-year research project with universities in the UK, Denmark, Germany, and Russia to explore the impact of light on health, and to develop graduate level curriculum based on the findings. As an artist and lighting designer, my work with lighting explores the relationship between art and technology, while investigating the impact on the viewer or user. I am inspired by the interaction of light with materials, with form and imagery, and with the viewer – and thus my work ranges greatly in its final form from drawing to sculpture to large scale installation. It is not the final genre that defines my art, but rather the effect of light experienced. From highly detailed pixels of light embedded into drawings to public art installations, I explore the many moods of lighting and its ability to calm or excite. Merging a wide range of lighting sources and materials that interact with light, I create layered environments that play with themes of interactive observation, movement and user-behavior. 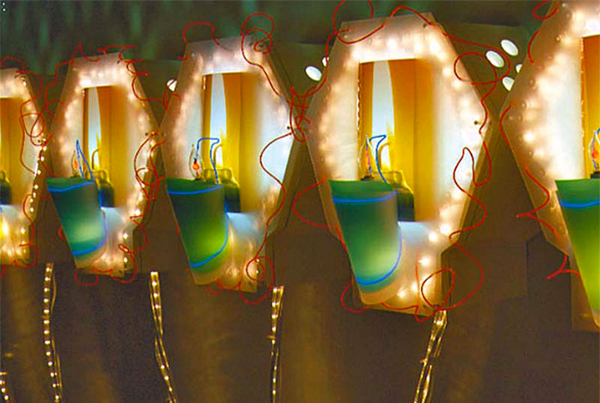 Lighting brings magic to any environment, energizing space with color, movement. It transforms the ordinary into the spectacular. Using light not only at night but also during the day through reflective materials, manipulation of sunlight and shadow, my studio designs for environments that engage poetically with the audience 24/7. I create interactive environments using a rich blend of technology and materials; such as dichroic films that change color as the viewer moves past, or reflective surfaces that change as light moves across the surface to allow for interaction with the environment or audience; teamed with lighting applications and physical computing that change color and movement through solid-state technology or applications of video projection. My work with light for large-scale public spaces has allowed me to investigate cutting edge lighting technologies from programmable LEDs to large format video applications and projection. Interactive capabilities allow the viewer to take part in the work, in ways that range from simply creating change by moving past the work to actively participating in the experience. I have also explored the therapeutic applications of light. 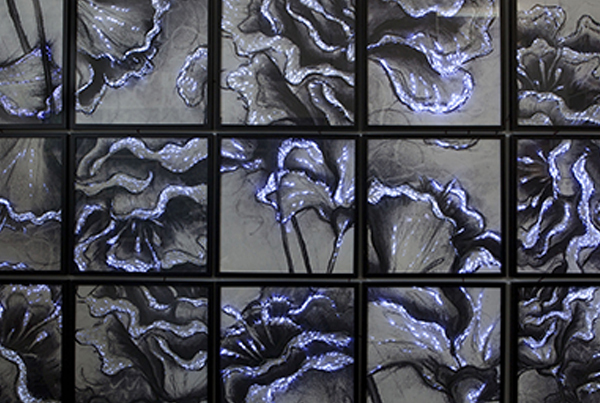 Using the same light wavelengths as used in light therapy, and nature-based imagery used in arts therapy, large-scale 2-dimensional fiber-optic pieces both calm and provoke. My studio creates interactive engagement with multi-sensory components, using light to create environments that calm, relieve, and engage. 1998-Present Owner of Lyn Godley Design Studio, specializing in lighting art and public art installations. 1984-1998 Partner of Godley-Schwan, design team of Lyn Godley + Lloyd Schwan, specializing in furniture and lighting design. 2011-2018 Associate Professor, Industrial Design, Jefferson University (formerly Philadelphia University + Thomas Jefferson University). 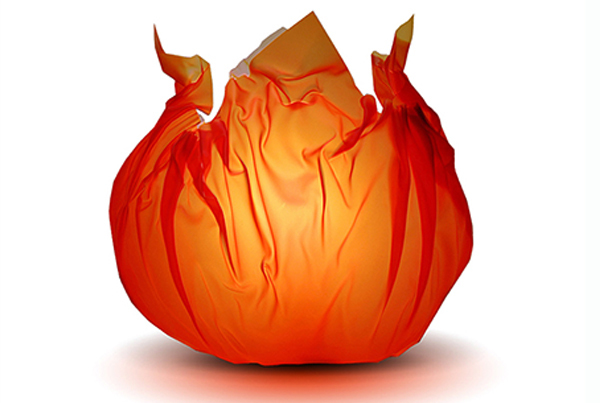 1996 – 2011 Faculty, Product Design, Parsons School of Design, New School University, NYC. 1996-2011 Faculty, Product Design, Parsons School of Design, New School University, NYC. Upcoming solo exhibit at James Oliver Gallery, Philadelphia, PA. Le Meridian Hotel, partial InFlight Lighting installation Philadelphia, PA. 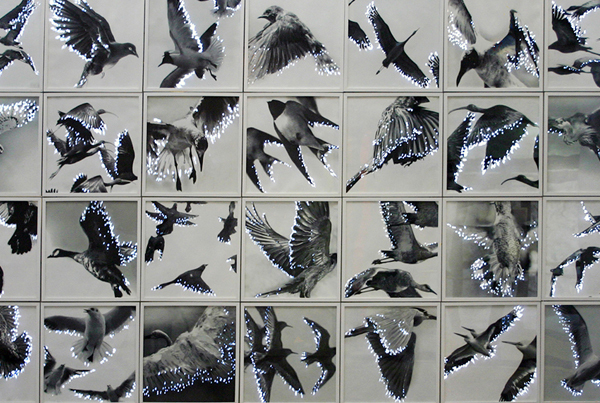 In Flight, Solo Exhibit at Gallery68, Cologne, Germany. Curated by Linde Trottenberg + Multi-Art International. Full Color Catalog. Lyn Godley, Solo Exhibit at Moravian Academy, Bethlehem, PA. 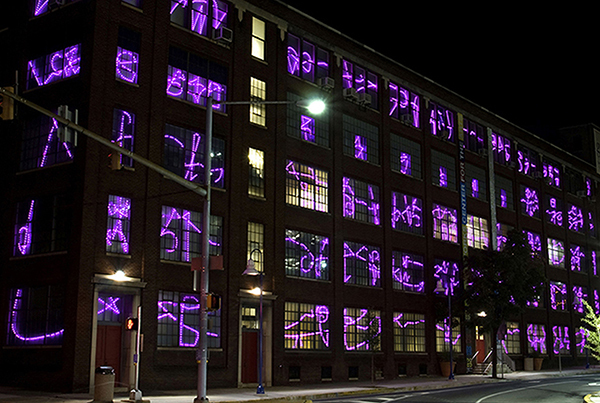 Thought Process, permanent LED lighting installation, The GoggleWorks Center for the Arts, Commissioned by Albert Boscov + Our City Reading, Reading, PA.
Britten’s Orchestra, Co-Art Director/Lighting Designer w/ Doug Fitch, U of MD. Playing the Field, Retrospective of Godley-Schwan (Lyn Godley &amp; Lloyd Schwan), Curated by Hilary Jay, The Design Center, Philadelphia University. Sponsored by Strawbridges + Hechts, Wilsonart. Full Color Catalog. New Work by Godley-Schwan (Lyn Godley and Lloyd Schwan), Curated by Simon Doonan, Barney’s NY Windows. Lights by Lyn Godley, Bergdorf Goodman Windows, NYC. Lyn Godley and Lloyd Schwan, Curated by Gerard Dalmon and Pierre Staudenmeyer, Neotu Gallery, NYC. Don’t Drink and Draw, Lyn Godley and Lloyd Schwan Solo Show. Curated by Thomas Mann, Gallery IO, New Orleans. Experimentation/Improvisation, Group Exhibit at the Miller Gallery, Kutztown University. Mindful at the Virginia Museum of Contemporary Art, Jan 2017 – Apr 2017 Richmond, VA. Mindful, Invitational Traveling Group Show, Society for Contemporary Crafts, September-November, Pittsburgh, PA.
More Serious Business, Group show, Northampton Community College, Bethlehem, PA. Nature with a Twist, Invitational Show, curated by Michael Howell, The Freedman Gallery, Albright University, Reading, PA. Seeing Voices: The Visual Voice, Group Show, Rutgers University, Camden, NJ. Generations, group show, Sharadin Gallery, Kutztown University. Kutztown University Faculty Exhibition, Sharadin Gallery, Kutztown University. Functional Art, Group show, Eckhaus Gallery, Kutztown, PA. US Design 1975-2000, Traveling Exhibition, Brooks Museum of Art, Memphis, TN. US Design 1975-2000, Traveling Exhibition, Museum of Art &amp; Design, NYC, NY. Transformations: New International Design, Parsons School of Design, NYC, NY. US Design 1975-2000, Traveling Exhibition, Curated by Craig Miller, Denver Art Museum. Light X Eight, Lighting exhibition, The Jewish Museum, NYC. Takumi’s Studio, World Design City GIFU, Gifu, Japan. Defining Design, Group Show, American Craft Museum, NYC. World Studio Foundation, Silent Auction Donor, Honorary Committee. International Contemporary Furniture Fair, NYC. Highpoint Furniture Fair, Highpoint, NC. Cologne Gift Fair, Cologne, Germany. 91 Objects by 91 Designers, Gallery91, NYC. International Furniture Design for the 90’s, Fullscale Gallery, NYC. Salone de Mobili, Milano, Italy. American Design, Zingg-Lamprecht Gallery, Zurich. Mondo Materialis, Steelcase TravelingExhibition. LA, CA. Accent on Design Show, NYC. Furniture and Counterparts, Gallery 91, NYC. 10th Anniversary Exhibit, Curated by Rick Kaufmann, Art et Industry, NYC. 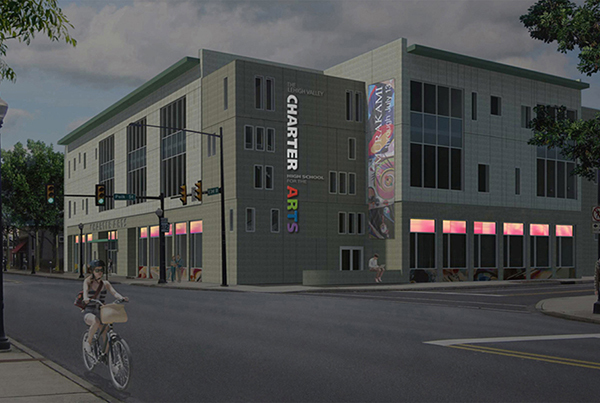 Lehigh Valley Charter High School for the Arts, Promise Illuminated, Commissioned for proposal for permanent lighting installation. $100,00 commission. Pending. Commissioned for Proposal for Lighting of 19 monuments at Laurel Hill Cemetery visible along Kelly Drive, Philadelphia, PA. Pending. Commissioned for Proposal to design two lighting installations at key entry-points to South Bethlehem, PA. Pending. 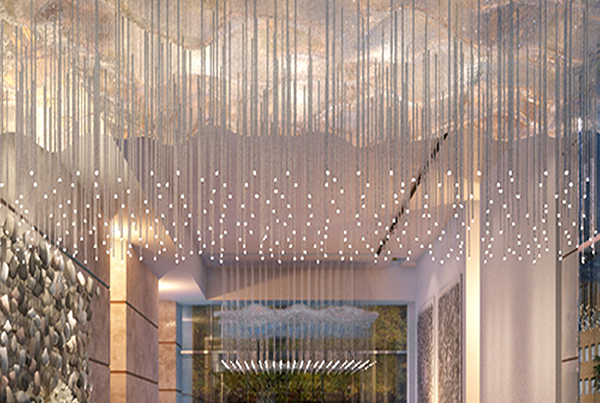 Commissioned for Proposal for Floating Sky large scale lighting installation for Cecil Baker Architects for lobby of new build condominium at 500 Walnut, a new ultra-luxury condominium tower overlooking Independence Hall, Philadelphia, PA. Commissioned Proposal for Public Art on Cyber Security, in collaboration with the Holon Institute of Technology, Tel Aviv, Israel. 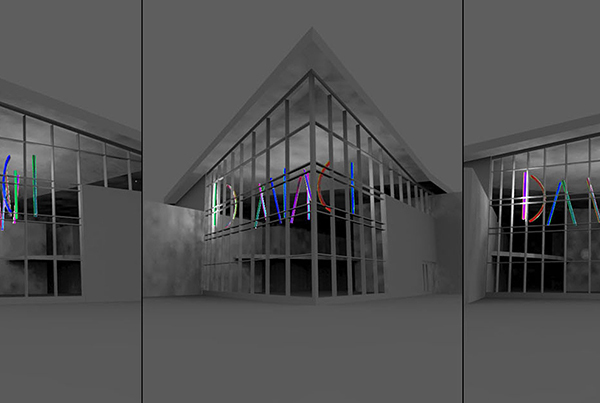 Commissioned for Proposal for Lighting Installation for lobby at Da Vinci Science Center in Allentown, PA.
Proposal for Towards Freedom, Philadelphia Family Court Public Art Project, Selected as finalist in city-wide search for $300,000 commission. 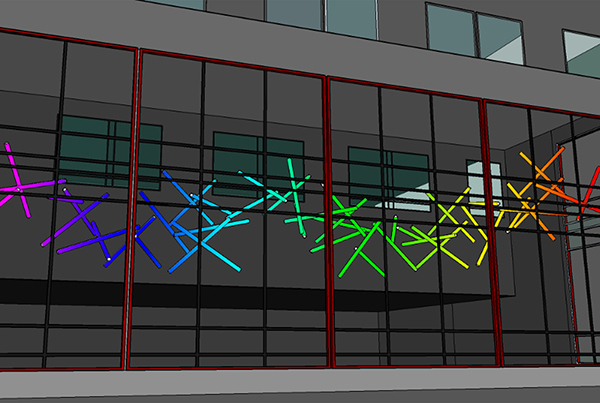 The GoggleWorks Center for the Arts, commissioned permanent LED lighting installation Thought Process across front façade of building, $250,00 commission. Reading, PA.
2015 Indianapolis Museum of Art, Permanent Collection, Indianapolis, IN. 2014 MUDE Design Museum, Permanent Collection, Lisbon, Portugal. 2014 Philadelphia Museum of Art, Permanent Collection, Philadelphia, PA.
2003 The Jewish Museum, commissioned menorah Miracle for Centennial Exhibit, NYC. 2002 Denver Art Museum, Design Dept., Denver, CO.
2000 Museum of Contemporary Art &amp; Design NYC. 1998 Museum of Modern Art, Architecture + Design Dept. Permanent Collection, NYC. Jenette Kahn –former Pres. of DC Comics, Current CEO of Double Nickel Entertainment; owns over 24 commissioned pieces. Pedro Almodóvar – Movie director; owner of a limited production run of the Checkers cabinet. Stephen Glassman –Architect, art collector, and director of Connecticut ACLU. ; numerous earlier pieces of Godley-Schwan furniture and current Lyn Godley pieces. Steve Shane – Art collector; commissioned case goods for his Manhattan residence. three entire apartments and furnishing + lighting renovations. Speaker, Mixed Media Women Artists in Philadelphia: A Summer Day- trip with Ursula von Rydingsvard, Gerri Spilka and Lyn Godley, Presented by NY/PA ArtTable: The Leadership Organization for Professional Women in the Arts. June 21. New Fabric Museum, Philadelphia Art Museum, and Park Town Place Galleries, Philadelphia. 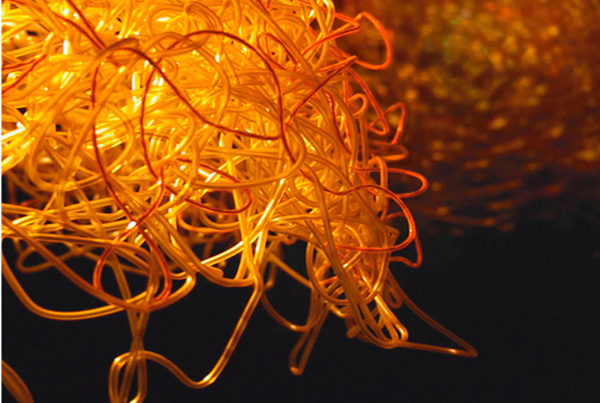 Moderator, Jefferson Humanities Forum: FUSION/with guest Janet Echelman, April 27. Presenter, Cool Jobs Expo, 500 Seventh grade students in Philadelphia will meet successfully employed artists, chefs, fashion, furniture and game designers, photographers and other creatives, and learn what it takes to find a job to love for life, organized by Fresh Artists, Philadelphia, PA.
“The Value of Beauty: Using Art and Light to Promote Wellbeing”, Tele-Skype on linepresentation to The Holon Institute of Technology, Israel. Produced by Eliron Salomon. “The Role of Beauty: Measuring the Effect of Beauty on Our Wellbeing”, Presentation Kanbar College Seminar Series. Guest Critic, University of the Arts Industrial Design Capstone Review, Philadelphia, PA Guest on NAP Connections “Shedding Light on Healing”. Televised live hour-long interview. Aired on BCTV, Manhattan Cable, and Drexel DUTV. Guest Speaker, Light in Art, KISD talk, Koln International School of Design, Cologne. Guest Speaker, International House Philadelphia. Presenter, Incorporating Light into Art to Create Healing Environments, Global Alliance of Arts + Healthcare International Conference, Houston, TX. Guest Speaker, Community College of Philadelphia, PA. Guest Faculty – KISD Koln International School of Design, Cologne, Germany. Lecturer at ArchLED Conference in Chicago on the use of LEDs in Art. Guest Lecturer / KISD Koln International School of Design, Cologne, Germany. Lecturer, Green Design, Eckhaus Education Program, Kutztown, PA. Guest Critic, Senior Industrial Design Thesis Presentations, Philadelphia University. Guest Lecturer, Towson University Art Department. Visiting Faculty at Altos de Chavon, Dominican Republic. Juror, Horizon Award sponsored by the American Craft Museum, NYC. Lecturer, Designer sand Social Responsibility, AWID, NYC. Lecturer, Craft + Design: What’s the Difference, The American Craft Museum, NYC. Guest Juror, Table, Lamp &amp; Chair Show, Portland, OR. Board of Advisors for the International Contemporary Furniture Fair, NYC. design and digital competencies. The consortium will collaboratively create a trans-disciplinary teaching course on the topic of Physiological and Psychological Health Research for Lighting Design. 3-year timetable. Euro 450,000. Baumbach (Interior Design), and Matthew Gindelsparger (Architecture). The grant supported a new course developed by PhilaU faculty members James Doerfler, Lyn Godley, Lauren Baumbach and Mathew Gindlesparger, which will be the first of four courses leading to undergraduate and graduate lighting concentrations for architecture, industrial and interior design students. NCARB (National Council of Architecture Registration Board) Award, Project: Interdisciplinary Design and Experimental Architecture Studio on Textile Material Strategy. 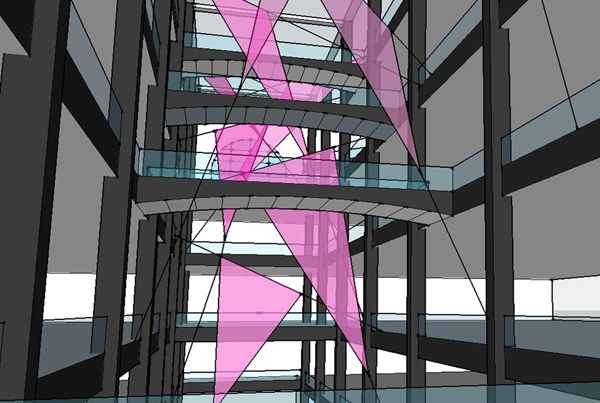 Joint project with Philadelphia University Kihong Ku (Architecture) and Marcia Weiss (Textiles). Recipient of a Professional Development Grant, Philadelphia University. Inducted into Vermilion High School Hall of Fame. Vermilion, Ohio. Faculty Development Fund Grant Recipient, Parson School of Design. Nominated for Young Designer Award Brooklyn Museum of Art. Nominated for the NY Governor’s Award in Export by the NBDC. Honorable Mention, Rolling Shelving Unit. ID Annual Design Review. IES Lighting Educators Workshop, Intensive week-long lighting workshop run by the Illuminating Engineering Society, Philips Lighting Application Center. IES Fundamentals of Lighting, offered by the Philadelphia IES Chapter. Enrolled in and completed a ten-week course covering the basics of lighting design for the Interior Design/Architectural trade run by the Illumination Engineering Society. In Flight, Exhibition Catalog by Lyn Godley and Lucy Young, Sponsored and printed by MultiArt International, Cologne, Germany 2011. 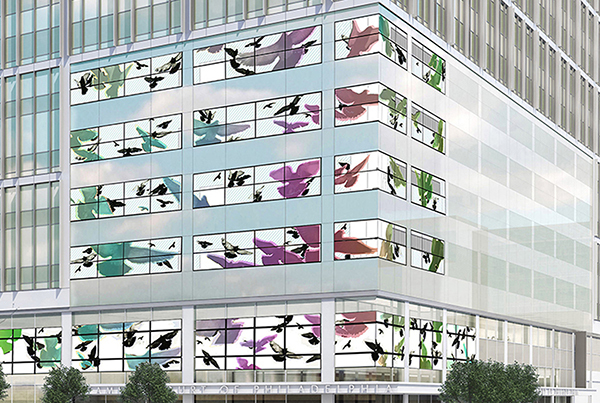 Playing the Field: the art + design of Godley-Schwan, by Lyn Godley, Sponsored by Strawbridges + Hechts, Wilsonart. Printed by the Design Center at Philadelphia University, 2004. 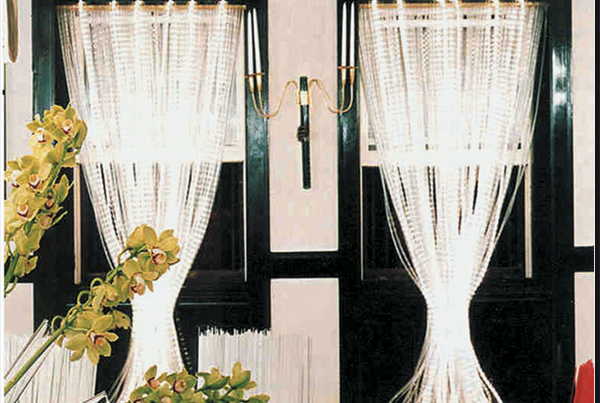 David D’Imperio, Lighting catalog. Essay by Lyn Godley, 2005. Light and Language: A Writer’s Journey into Art, jeanspraker.com, by Jean Spraker, June 1, 2018. PLDC 2017, Proceedings, Published by VIA-Verlag 2017. At the Philadelphia Airport: Experience Art Before Your Flight with these Installations, by Kim Mutella, InLiquid Blog. August 10, 2017. Virginia MOCA Hosts a “Mindful” Panel Discussion and Community Resource Night on Mental Health, February 16, 2017, by Virginia MOCA, ALTDaily.com. 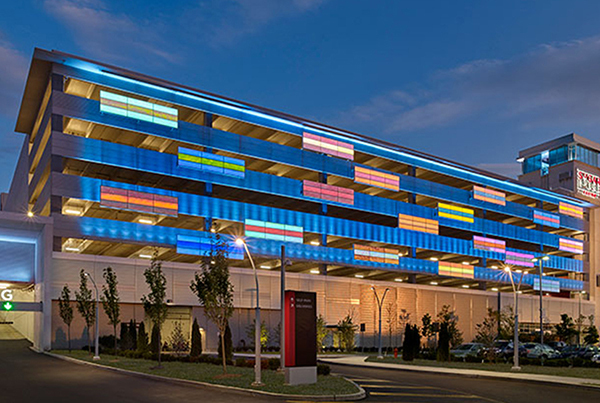 Urban Light by UW-Madison alum Godley installed in Philadelphia, University of Wisconsin-Madison – School of Education News, June 4, 2016. SugarHouse Casino to Cut Ribbon on $164 Million Expansion, Finance.yahoo.com, May 9, 2016. Monday Unveiling for Philadelphia’s Revamped SugarHouse Casino, by Adam Morgan, World Casino Directory, May 6, 2016. SugarHouse Casino to Cut Ribbon on $164 Million Expansion: 150,000 square-foot Expansion Culminates with New Games, Restaurants and Public Art, by Michael Tanenbaum, Philly Voice, May 5, 2016. The Next Big Thing: Trendspotting for the Home and the Dinner Table, by Rachel Zimmerman, Home and Table Magazine, April/May 2016. Spring Highlights at FRG Objects and Design, HudsonAntiques.net, April 5, 2016. ‘Mindful’ Exhibition facilitates dialog about Mental Health through Artwork, Pittsburgh Post-Gazette, March 15, 2016, by M. Thomas. The Science of Beauty, limeSHIFT, February 17, 2016, by Nabila. ‘Mindful: Exploring mental Health Through Art’ Premiers at Pittsburgh’s Society for Contemporary Craft, Explores Mental Health Through the Lens of Contemporary Craft, by Marthe Weyandt, Huffington Post, February 25, 2016. Out From the Darkness: An Exhibition Shines Light on Mental Illness, by Monica Moses, American Craft Council, February 15, 2016. SugarHouse Casino to Light up the Night with New Urban Mural from Local Artist, by Jeff Shurilla, Business Wire, January 28, 2016. At the SCC, A Wide-Ranging Show about Mental Health, by Lissa Brennan, Pittsburgh city paper, January 27,2016. Design Philadelpha: Lyn Godley’s Behind the Veil, Philadelphia Ticket Fly, October 2014. Healing Light at Freyberger Gallery, Review of solo show by Ron Shira, Reading Eagle, 9/26/14. Kim Carson Reviews Artprize, WZZM Channel 13 news, Review of Lyn Godley’s entry. 10/1/14. 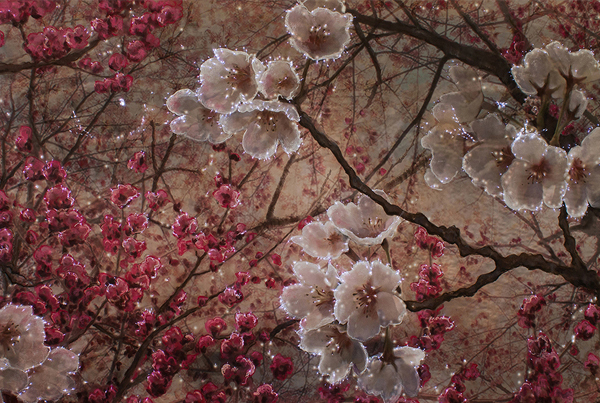 Freyberger Gallery presents Art of Light, by Marilyn Fox, Penn State Berks website 9/26/14. 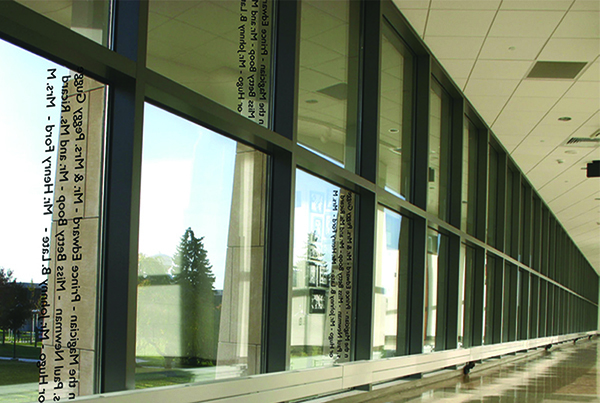 Thought Process: Linear Light for the Creative Arts, by Louis Brill for Professional Lighting Design. Summer 2013. 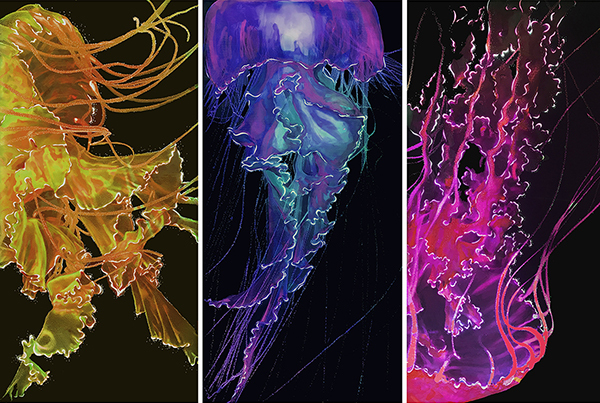 Kickstarting Fiber Optic Art, Review of L. Godley’s Kickstarter Project, Metropolis Magazine, 2013. More Serious Business at the Fowler Center, Art Review, Northhampton Community College, the Morning Call, Sept 2010. Art Review: Confronting Nature Conceptually, with Innovation at the Freedman Gallery, by Ron Shira, Reading Eagle, June 2010. Exploring Visual Design, Lyn Godley profiled as an Industrial Designer in the latest revision of this popular textbook for middle-high school Art Education. By Dr. Marilyn Stewart. Sept 2010. Looks Aren’t Everything: Rutgers-Camden symposium to Summon the Artists’ Voice, Rutgers Today, April 2010. Design Icons, by Mehdi A. Fallah, published by University of Art, Tehran. The Staudenmeyer Years: a Homage to Pierre Staudenmeyer, A review of the over 800 designs Staudenmeyer edited through Neotu in Paris. Numerous designs by Lyn Godley and Lloyd Schwan were included in this collection, published by Editions Norma, Dec 2009. 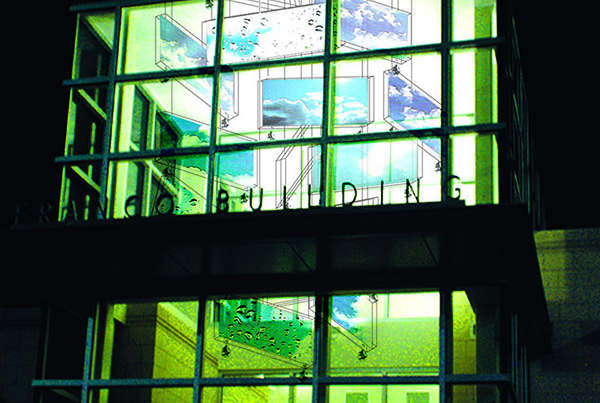 Lighting Up the Arts, Kutztown University Tower Magazine, Winter 2009. Goggleworks Light Sculpture to Brighten Downtown Reading, Reading Eagle, Sept 2008. Industrial Designer Lyn Godley Visits the Art Institute of Philadelphia, AI News, Dec 2008. Brooklyn Style, A Brief History of Brooklyn Design, by Rima Suqi, New York Magazine, May 2006. Dish; International Design for the Home, edited by Julie Stahl, and Susan Yelavich, published by Princeton Architectural Press, 2004. The Design Encyclopedia, 2nd Edition by Mel Byers. Published by the Museum of Modern Art. 10 Best New Glass Products, Glass: The Urban Glass Quarterly, No. 93, Page 30, Winter 03-04. Museum of Modern Art Profile on Terence Riley, Lyn Godley, and Karim Rashid, United Airlines U-Way (Japan), July 2000, Issue 7, Volume 1. Missive from Milan, Interior Design, July. 1997. The Design Encyclopedia, by Mel Byers. Published by the Museum of Modern Art. 1996.
International Design Yearbook # 9, Edited by Ron Arad, 1994.
International Furniture Design For The 90’s, By the Editors of PBC International, 1991. Product Design 4, By the Editors of ID Magazine 199, Product Design 3, by Joe Dolce & the Editors of ID, 1989, Product Design 2, by Sandra Edwards and the Editors of ID Magazine, 1988. The design team of Godley-Schwan began in 1984 when Lyn Godley and her husband, Lloyd Schwan (1955-2001), began selling a small collection of costume jewelry. Between 1984 and 1998, the company would expand to include product design, furniture, lighting, and interior design; both residential and commercial. Clients have included the MoMA Design Store, the Geoffrey Beene flagship store, Neiman Marcus, Barney’s NY, DC Comics, Entertainment TV, and Sony. Smaller tabletop products have been shown at the New York Gift Fair where Godley-Schwan won awards for Excellence in Design in 1988, 1989 and again in 1995. 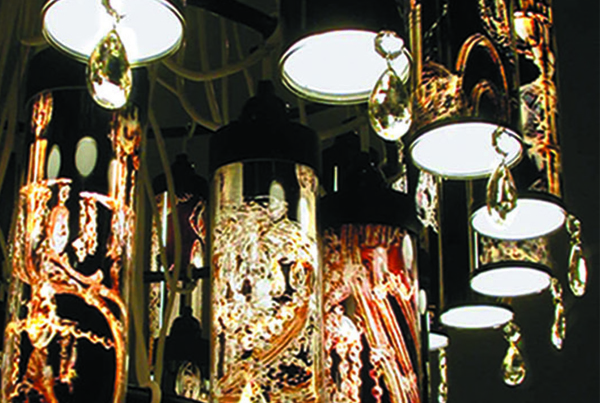 Their furniture and lighting has been exhibited at the ICFF as well as Salone de Mobiliin Milan, Italy where in 1989 they were the first contemporary American design company to exhibit their work at Salone. Upon their return from Milan, Lyn Godley organized the “Furniture NY” organization in order to promote American design abroad and serve as a networking resource for New York based designers. In 1990 Godley-Scwan was nominated for the NY State Governor’s Award for Achievement in Exporting. 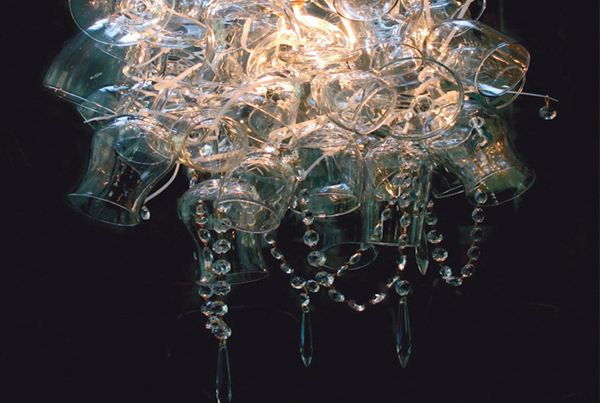 In 1998 the Crinkle Lamp was accepted into the permanent collection at the Modern Museum of Art. 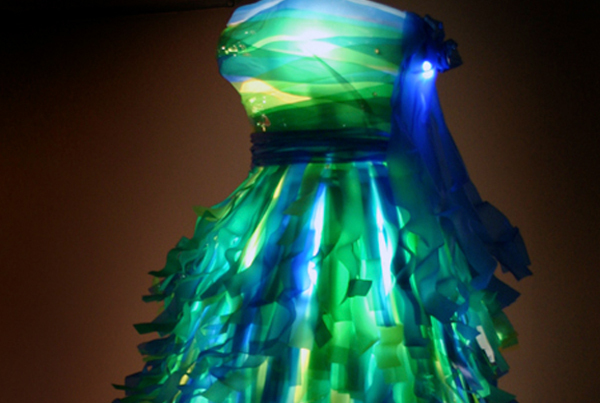 Godley-Schwan designs are also in the permanent collection of the Museum of Art & Design and the Denver Art Museum. Their work has been exhibited and published in over 14 countries around the world, and now can be found at numerous 20th Century Design auctions. A retrospective of the work of Godley-Schwan opened in the fall of 2004 at The Design Center in Philadelphia. 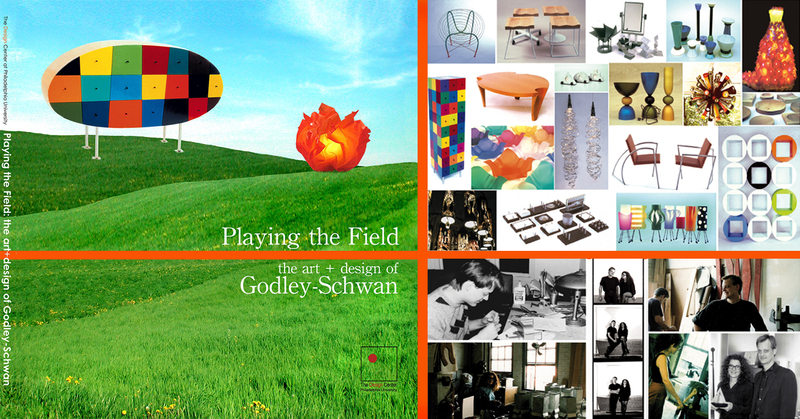 An accompanying exhibit catalog, Playing the Field: the art + design of Godley-Schwan, tells the story of the history of the design team. For information on the ebook format, contact Lyn Godley Design Studio. View the Godley-Schwan image gallery. © 2018 Lyn Godley Design Studio, LLC. Website by Spilk Milt.